Boil the pasta, onion and broccoli stalks for 7 minutes. Add the florets, cook for a further 3 minutes and drain. Bring the stock to the boil in a large pan, then whisk in the mustard and crème fraîche and season well. 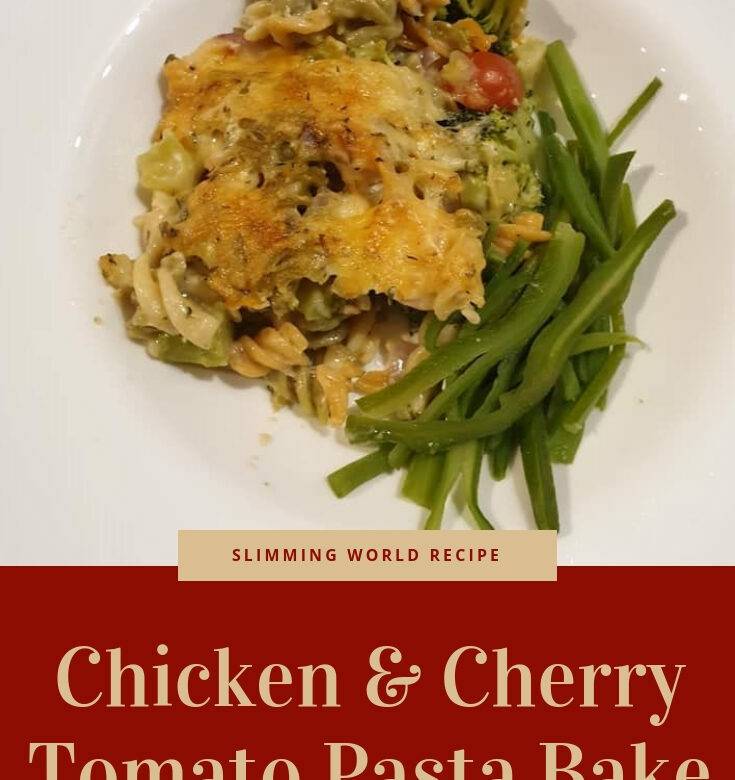 Stir in the pasta mixture, chicken, tomatoes, cottage cheese and half the Cheddar, mixing until melted, then stir through the parsley and transfer to a shallow, heatproof dish. Preheat your grill to medium-hot. Mix together the remaining Cheddar and the thyme and scatter over the pasta mixture. Put the dish on the base of the grill and cook for 4-5 minutes, turning if it starts to brown unevenly. Remove, leave to stand for 5 minutes, then divide between 4 bowls and serve with the beans on the side.